The Liza Skylight and Verandah systems provide the perfect solution for retractable roof applications. It's sturdy design and supported mounting allows for retractable shade in conditions where a folding arm awning may not be ideal. Whether you have an existing structure that the Liza can mount to, or if you need the Liza Verandah to help you create a structure, this flexible system offers you the very best of high end European design and quality, with fantastic value for money. 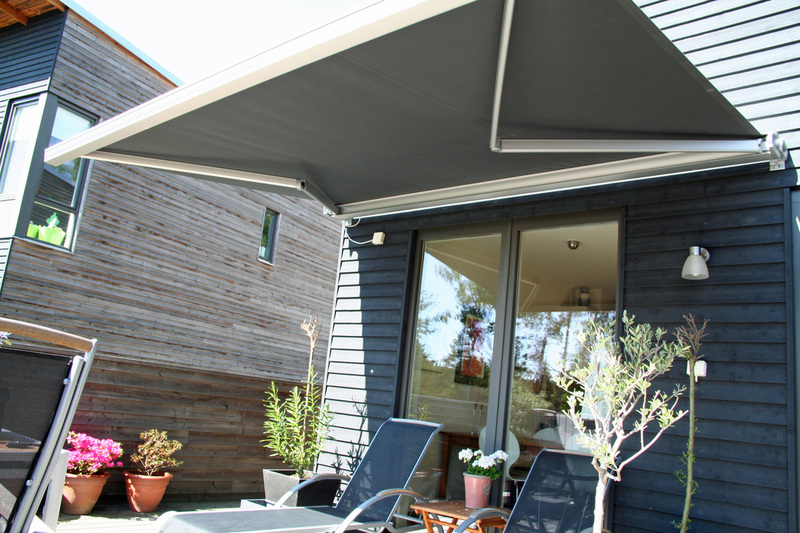 The Liza Awning and Liza Verandah are fully motorised and can provide retractable shade up to 30m2. It features high quality powder coated aluminium extrusions and an extremely reliable gas strut enclosed in the size tracks to provide fabric tension. As well as being a fantastic design feature of your home or business the Liza Retractable Roof system can add value to your property with an attractive and functional outdoor space. Choose from a wide range of contemporary acrylic canvas or outdoor screen fabrics that are sure to compliment any home or business. Please call Pinz today on Ph: 08 8244 7888 or Email: info@pinz.com.au to locate an Liza retailer near you or to discuss becoming a Pinz wholesale customer.